Feeling Cool has never looked so hot! This single speed woody wagon tabletop fan conveniently circulates air wherever you park it. 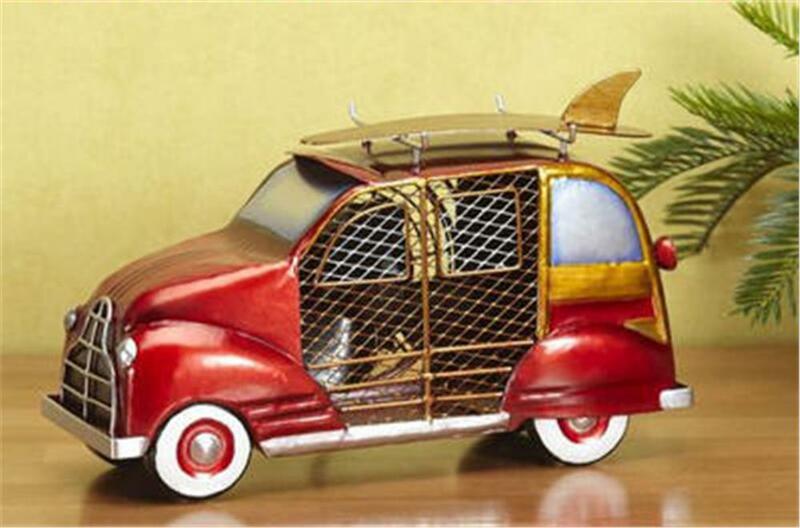 The classic surfer's Woody figurine is of metal construction and contains a whirling fan behind a screen where the driver's side door would be. Weighs 8 lbs. Plugs into standard 120v AC outlet. 15" long, 8" high, approximately 5" wide.